Mark Trahan Venturing: Black is the new White! 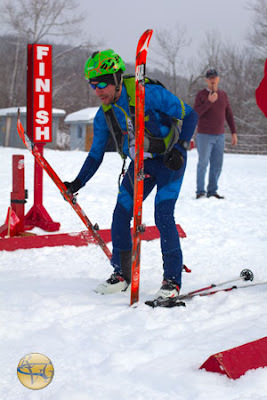 An outdoor enthusiasts blog about adventuring with a direct focus on unique multisport racing opportunities in the Northeast United States. Working hard to play harder on the weekends! Black is the new White! 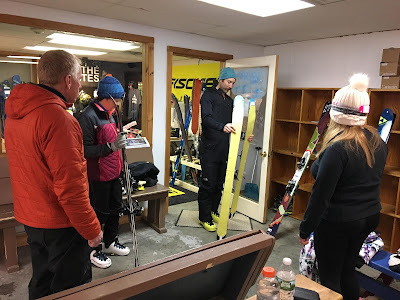 Uphill skiing has been making big gains across the country and much of the learning curve actually begins in resort ski areas where skiers of all abilities can progress safely and within their comfort zone learning to feel out the sometimes complicated assortment of new and somewhat technical gear. 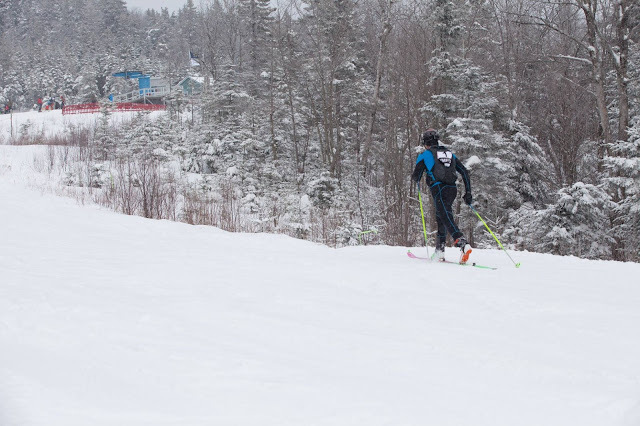 Ski areas are the perfect venue for uphill events as they offer a go-to-place with almost guaranteed conditions for the majority of the winter. When conditions are suitable, race directors get creative and stitch together incredibly rewarding tours through gladed terrain and backcountry areas adjacent to the mountain operations. Often times you can be tricked into really believing you’re in the middle of the wilderness with a dozen of the strangest people you have ever known. 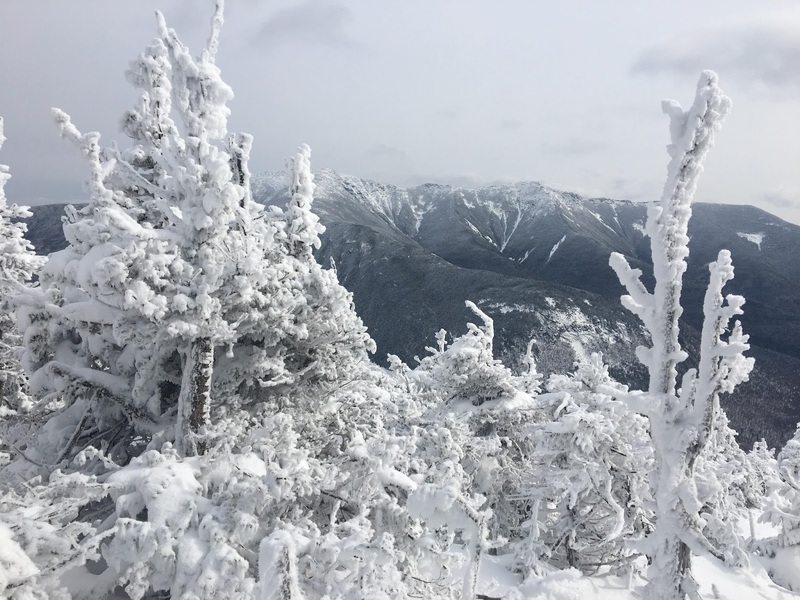 More than 20” of recent snowfall on the White Mountains set the stage for two unique uphill ski racing events at the most traditional, old-time throwback ski areas of New England. Folks were treated to a special “double black” weekend of winter fun at Black Mountain in Jackson, New Hampshire and the other Black Mountain in Rumford, Maine. This was confusing and not alone in thinking I was signing up to race at the same mountain all weekend long. Yes. 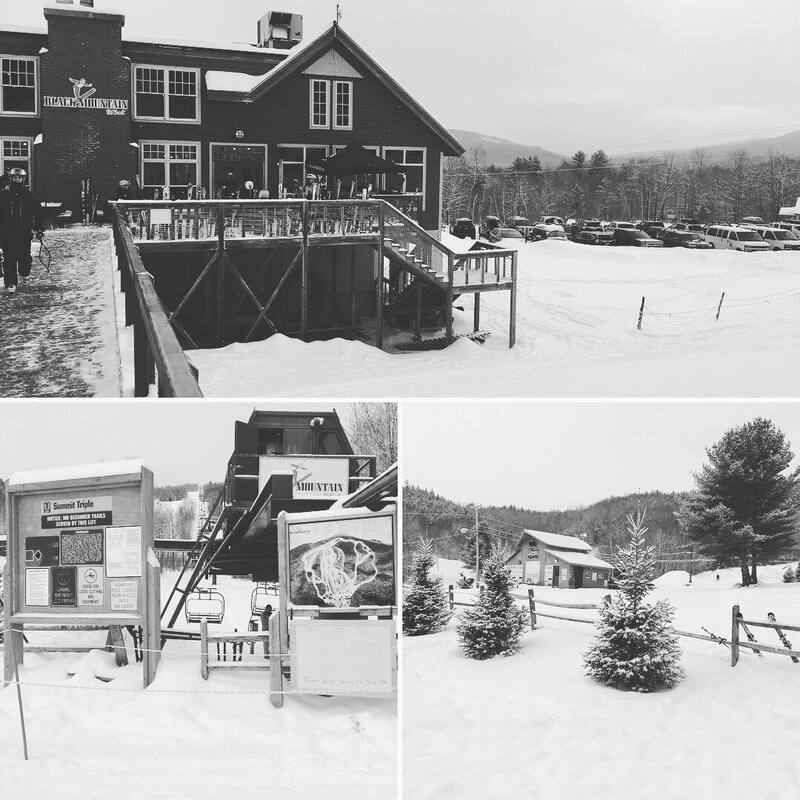 Different Black Mountains and both are your quintessential mom and pops ski areas. Andrew getting people stoked on uphilling! 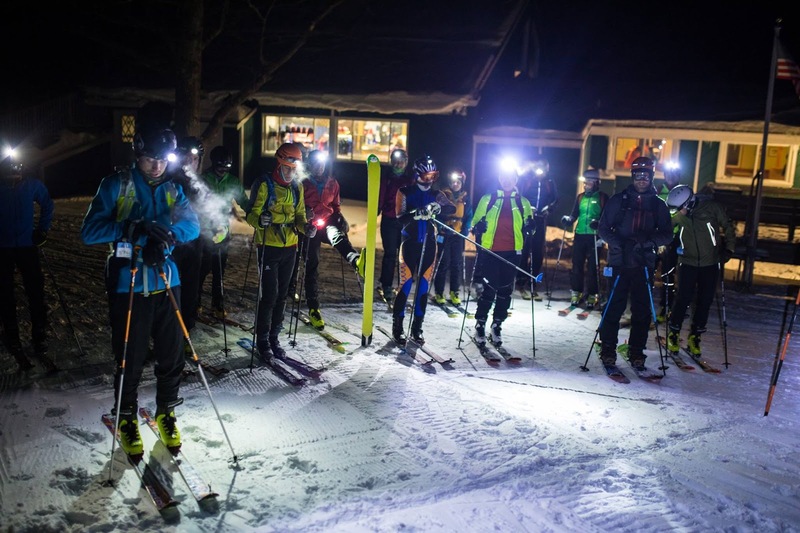 Ski the Whites based out of Black Mountain NH held their sixth FridayNight Lights Uphill Series on Feb 9 with more than 40 participants of all abilities showing up for the blackened adventure. They knocked it out of the park with the most challenging 1 or 2 lap course featuring a full mountain skin with dozens of kick turns in foot deep powder and short but, relentless boot pack through a steep, boulder strewn glade. Without full gear of your own, a full rental fleet is available onsite by advanced reservation for those looking to explore the mountain in this absurdly fun way. Just show up a little early to get familiar with the gear before the 7:00pm start time. 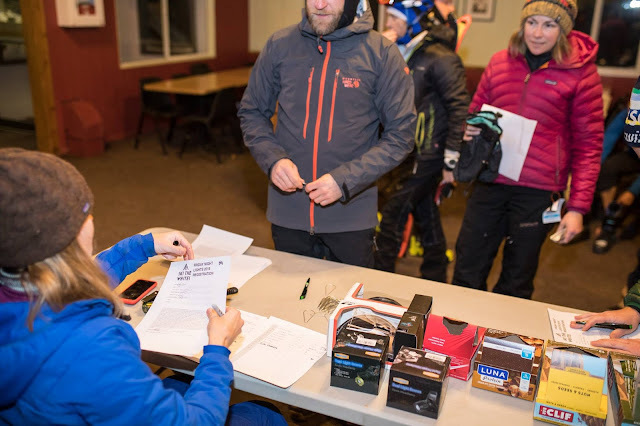 Tristan Williams won the night with an incredible time of 39:32 on the ~4.3 mile course with ~2300 vertical ascent. Jeremiah Hawkins in 42:49 and I scraped together a third place result in 46:09. Darkness fell upon me, smothered by Dave Lamb blazing trail of light, shooting down the slope at earth shattering speeds. I was barely able to cross the finish line with a mere 5 seconds ahead. It should be noted that I have subconsciously been chasing Dave for the last 14 years since finishing dead last at the 2004 Tuckerman Inferno with a time of 7hrs 15 mins while Dave championed the event in about 4hrs 15 mins. I am never going to be anywhere near the likes of a Dave Lamb but going head to head with one of the greats was a special surprise when I found out he was the competitor hot on my tail and furiously flying down that mountain after me. One things for certain, the terrain and layout of a course under darkness, guided by torch lights along with headlamps made for a memorable and lung busting experience. Well over 100 different individual participants have showed for this event since its inception and averaging 40 each night this series is off to a great start. Being from central Massachusetts it’s great to bump shoulders every so often with those outdoor enthusiasts who call the Whites home. 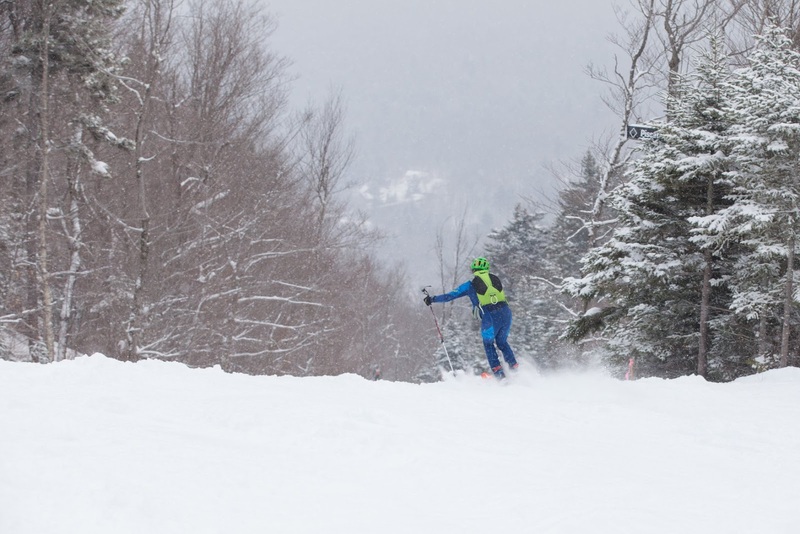 You can only expect bigger things to come as the uphill scene at Black Mountain NH gains some serious traction. 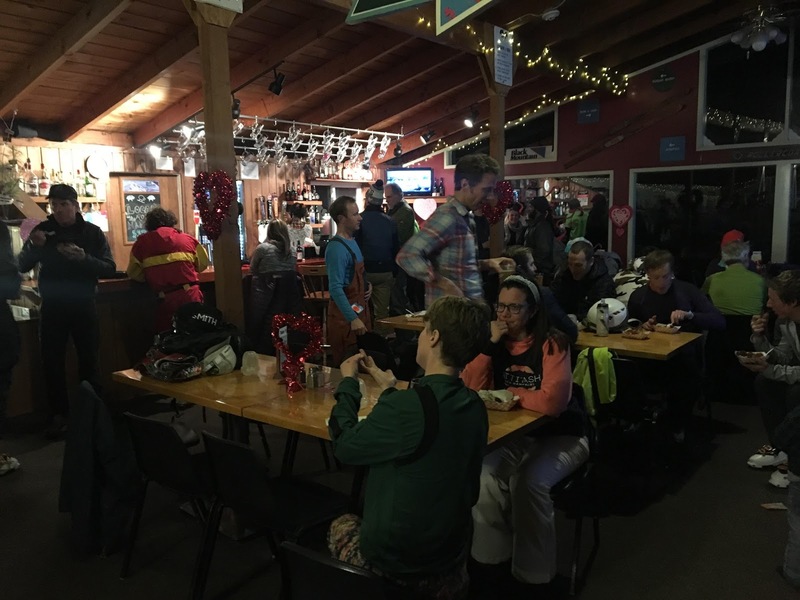 After the final competitors were swept off the course, après festivities were business as usual. 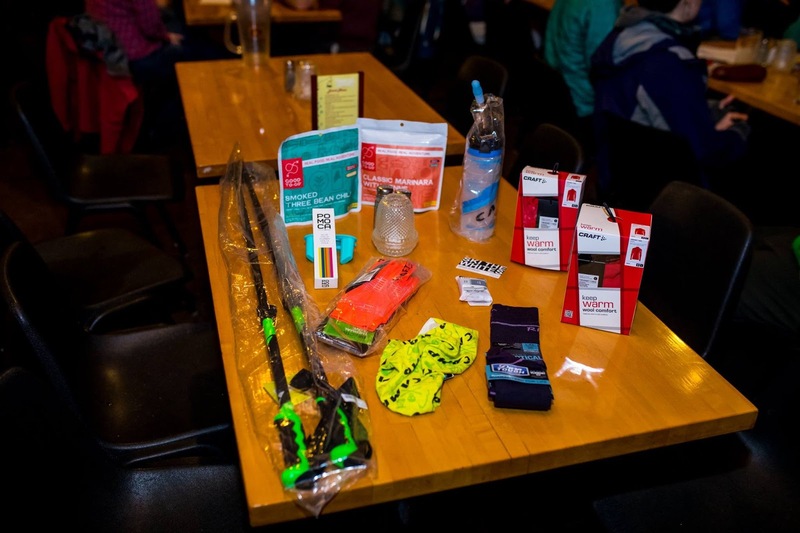 An open raffle as a prize giving for all series participants and was a nice way to close out the evening in the pub. Everyone went home happy wanting more. 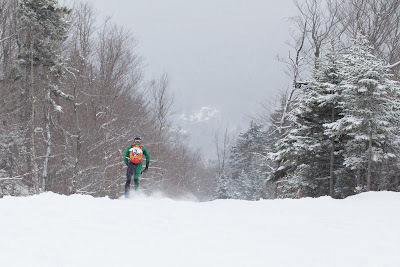 Now onto Black Mountain of Rumford, Maine where on Saturday Feb 10 held their first USSMA sanctioned category 2 Skimo race that featured 4 laps on the same uphill and downhill route, rinse and repeat. Recreational division offered a slightly less aggressive but still very committing and nonetheless challenging 2 laps. 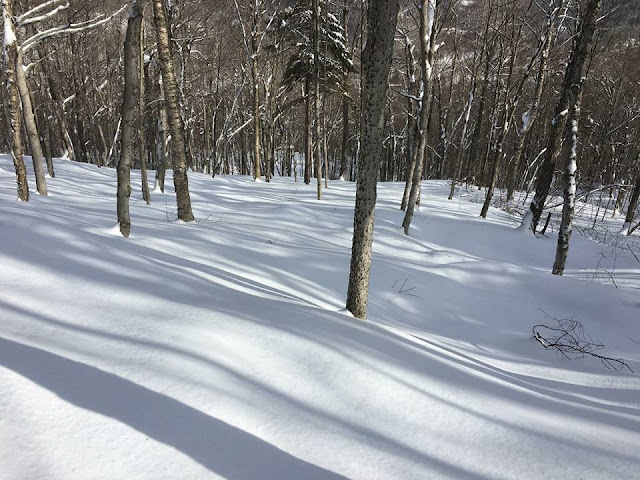 I was somewhat skeptical travelling farther than I expected to participate in a first year event and with winter making it difficult to execute the original planned route through their extensive backcountry terrain, some added cause for concern. A category 2 course is characterized by the USSMA as the following: “approximately 5,000 ft. vertical, 5-10 transitions, 50% off-piste, winning time of 1.5 hours or greater.” This backup course met those requirements exactly and nothing short of spectacular through pristine forest. Race officials from the Chisholm Ski Club! Treated with another 4" refreshed powder overnight the conditions were outstanding, though, fresh snowfall made for a slippery, skin track moving through the woods. Five crazy competitors showed up in the 4 lap course and there were about a dozen more in the recreational division. Small numbers for the first year hosting an uphill race but just showing up is the hard part and all were treated to an action packed event. 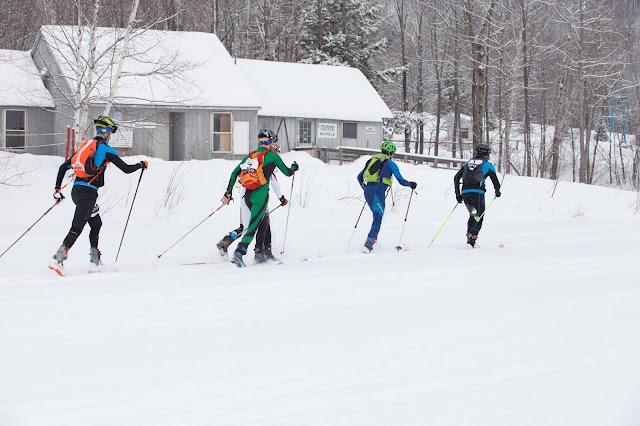 The course sent racers up a meandering skin track with dozens of kick turns up through a thicket of well maintained birch, spruce and poplar forest. This gladed ascent would surprisingly make the thought of having to lap the same route 4 times quite entertaining and leave you longing for more. Racers held together tightly with Milan pulling away despite having to work extra hard to lead that charge on soft, slippery skintrack. Milan tearing up the course in 22 minute complete lap times! Abe Meyerhofer and I battled for almost the entirety of the race. He pulled out ahead of me slightly bombing down the 1150 vertical descent, hip to hip, shoulder to shoulder, in a skier cross like Super G. We were both giggling with excitement. Adding onto a slight lead, he commanded the second and third laps uphill, making focused and quick transition looks easy. However, I made a move and burned some matches to make up an almost 50 second deficit so beginning on the 4th lap we were going tip to tip, toe to toe, once again. It was all or nothing on this 4th lap and well, I was hoping for a bewildered, bonking Abe but he had another idea with some matches of his very own. He lit me up and pulled ahead on this final lap almost catching Josh Flanagan in second place. Abe threw down the fastest complete lap of all competitors in a ridiculous 21:16! He bested me by 3 minutes on this final lap alone, crushing my hopes and dreams. Impressive! 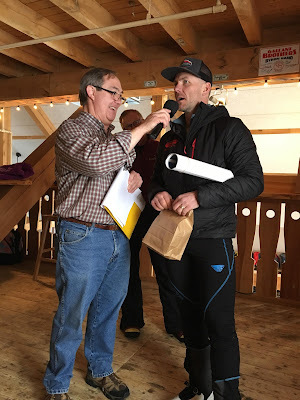 Milan Kubala convincingly won the event on the day with an incredible time of 1:29:10 on the ~8.1 mile course weith ~4600 vertical ascent. Bested by Josh (2nd) and Abe (3rd), I finished respectively with a time of 1:38:43 (4th) with anchorman John Wulff (5th). Here is the link to the results. 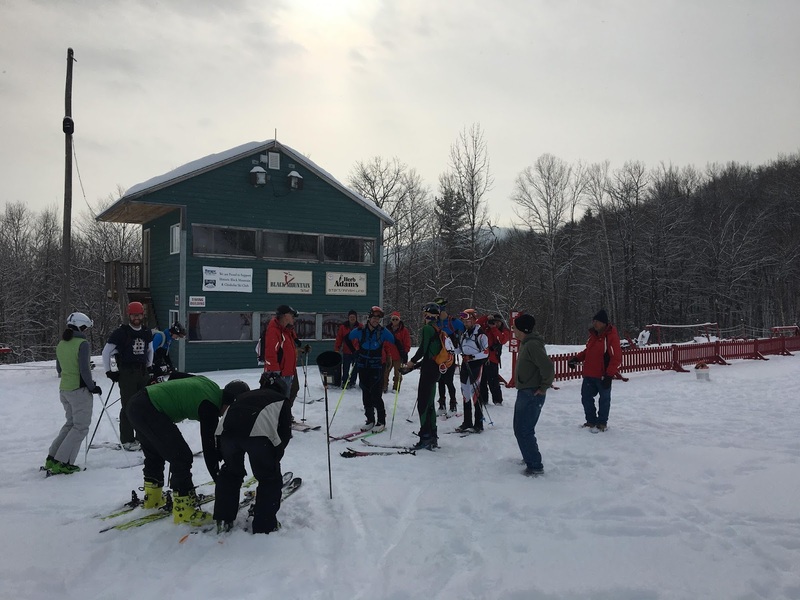 An energetic and friendly team of volunteers really show the spirit shared at a local mountain operation like Black in Maine. 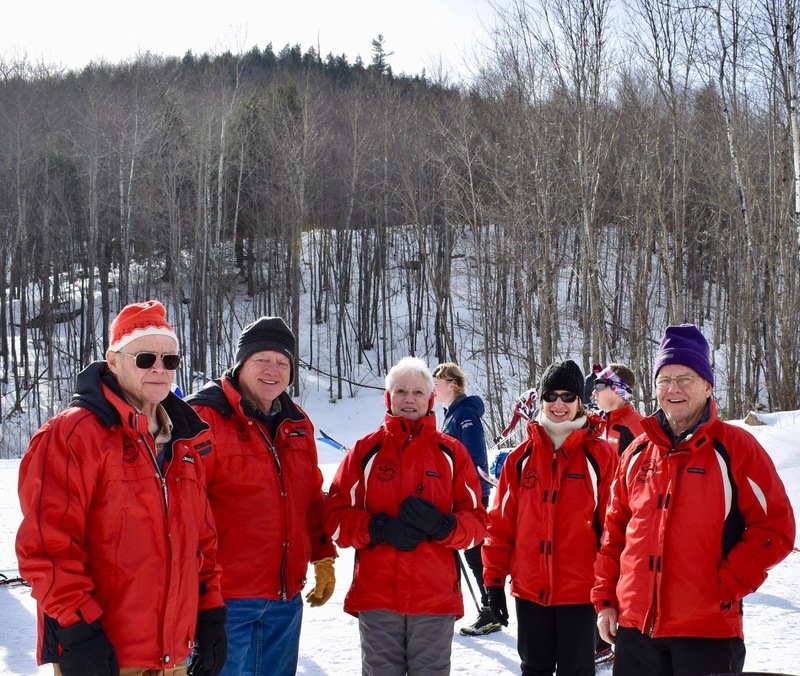 Black Mountain is home to the Chisholm Ski Club and a group that goes by the name Angry Beavers. 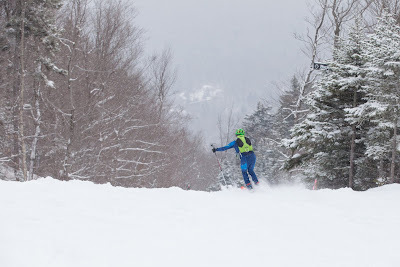 These are the people we need to thank for managing the well developed glades throughout the mountain and used on race day. With race officials at each transition area and Ski Patrol on course, the event was so well organized and the biggest surprise of the day came announcing the race and all participants over the PA System. This broadcast continued with an entire play by play coming in and out of transition as we completed each full lap. 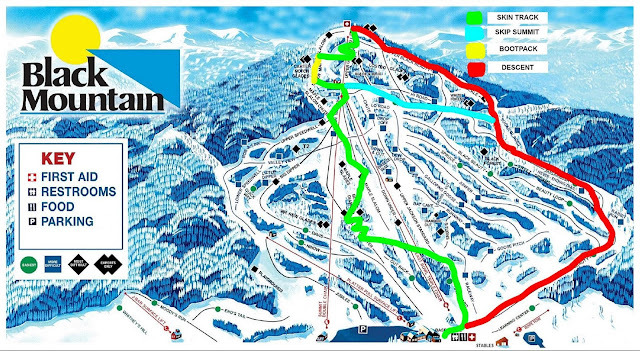 The full scale assault on the mountain could be heard across the entire base area and lodge likening of a world class competition. Hilarious! Someone was delighted to inform me that the chairlift took 13 minutes to the reach the summit and very interested in how fast we were moving top to bottom. A little mind blowing to find out this quaint little “Fearsome Fivesome” was laying down 22 to 24 minute 2300 total vertical lap times. 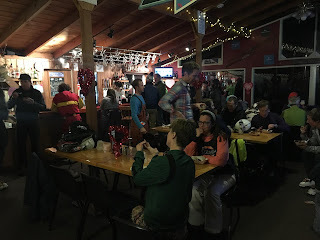 People were shockingly in amazement afterwards at the pub telling us we were showing up the chairlifts. Now that’s horsepower! Did I mention this already? Craig Durhorst broadcasting the play by play the entire competition! 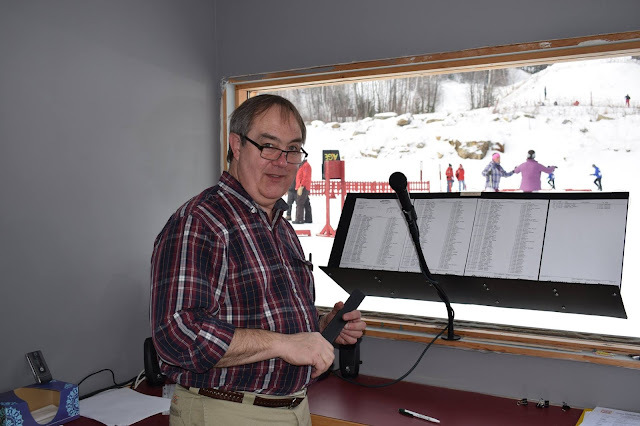 Craig Zurhorst was not only the announcer in the competition box but the MC at the pub for the awards and prize giving. The event was well organized and his enthusiasm and positive energy was something special to behold. 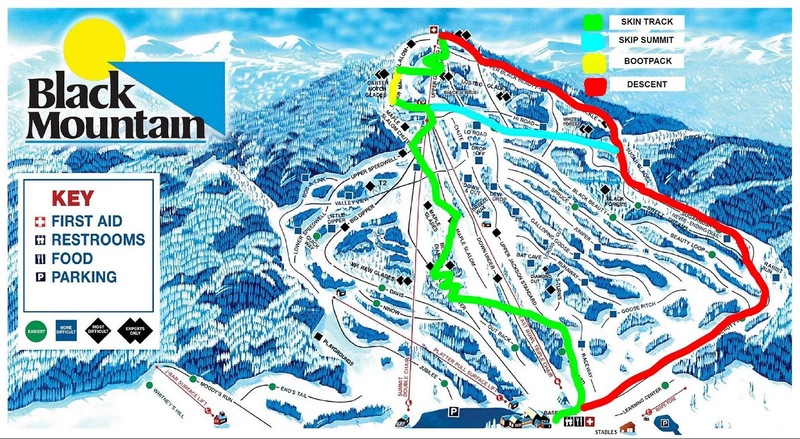 Its no wonder why the pub was PACKED at high noon on a Saturday when the powder was perfect and glades were deep. Sometimes lowering your expectation just a little sets the stage to get blown away by the result. We are all hoping to bring it “Back at Black” in 2019. As long as winter cooperates, Black has the extensive backcountry terrain to make possible quite an epic “off-piste” course and put their Mid-Winter Skimo Classic on the map for years to come. Mark, Josh, Abe, Milan, John were the "Fearsome Fivesome" on the day! 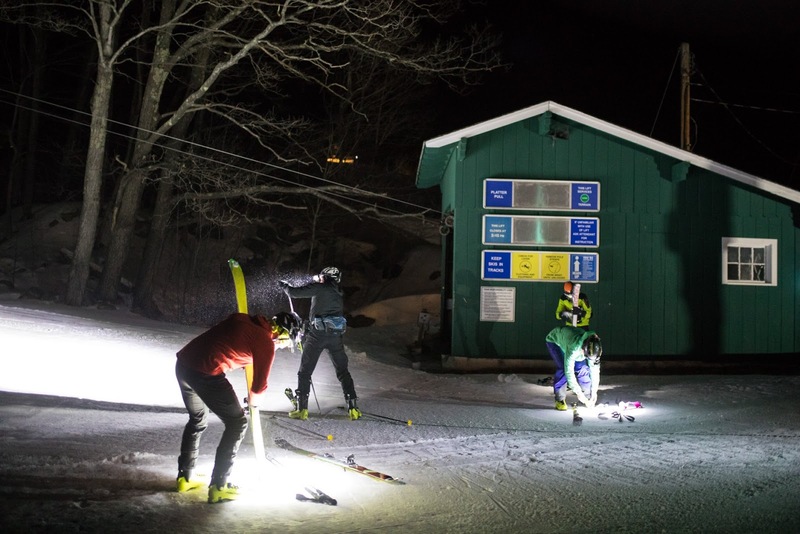 Skimo can be summed both up and down by moving past those menacing "double black" gates and entering uncharted, unfamiliar territory, taking to the hills on the ski track less traveled and taking ownership of earning each and every one of your turns. 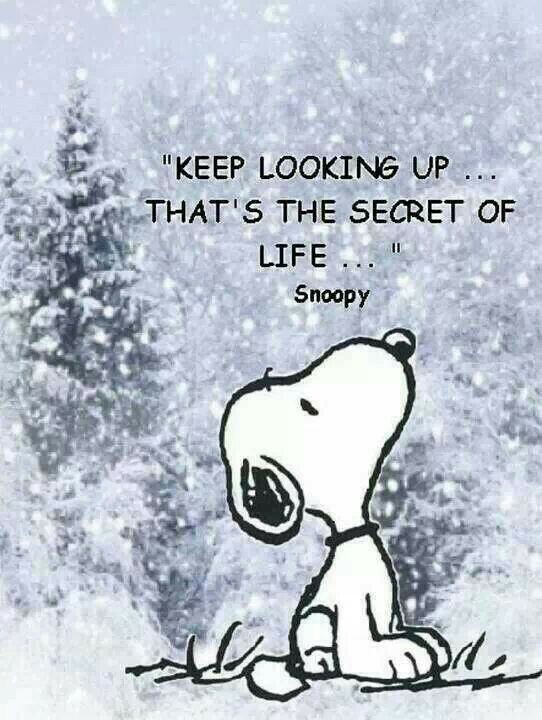 After freeing the heels, you will begin to hear an all too familiar catch phrase “your going the wrong way” direction, my only recommendation is a light hearted response of, "I'm the best skier on this mountain" that assuredly returns a good chuckle. As a sport, as an activity, my beginning experiences with uphill skiing and touring has brought me back to both backcountry and mountains high, the resurgence is real. It reverberates through every ounce of my being having found a new way to venture through Winter. 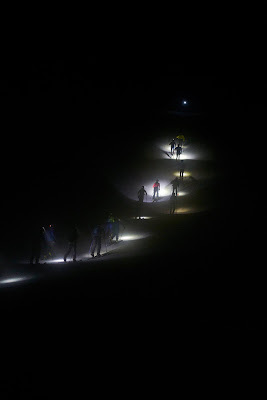 Check out this Beginners Guide to Uphill Skiing if you want to learn some more details and its crazy cousin, Skimo. 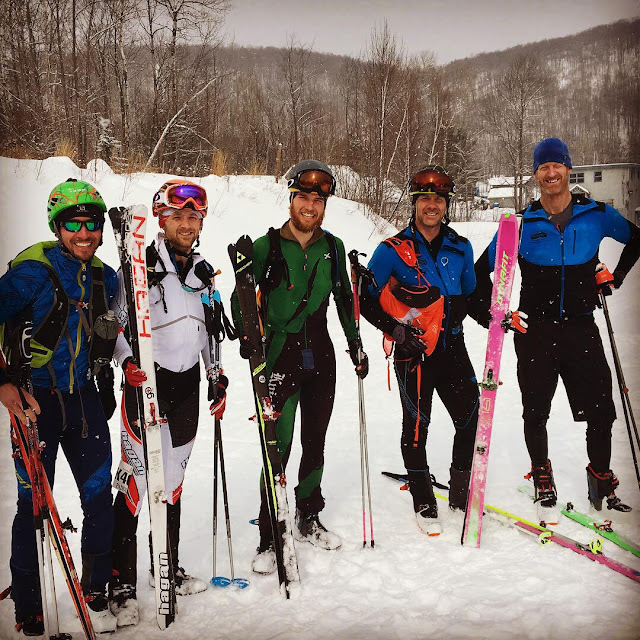 Catamount Trail Association and NE Rando Race Series are the other games in town to get together with crazy, like minded individuals actively looking up for adventure. 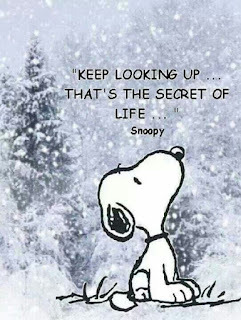 Trust me you will really start looking up that hill differently and finding secrets about life you never knew were possible. Always remember to "Work Hard, Train Hard, Play Harder!" MarkTrahanVenture. Picture Window theme. Theme images by zbindere. Powered by Blogger.